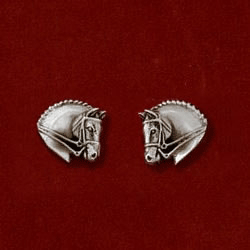 Dressage Sterling horse is a fun trend and comes on a 16″, 18″ or 20″ sterling silver bead chain. Tag measures 1-1/8″ long by 5/8″ wide. 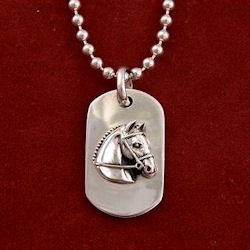 Dressage sterling silver necklace is a fun trend….a horsey tag! 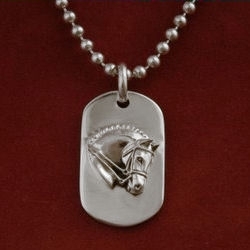 It comes on a 16″, 18″ or 20″ sterling silver bead chain. 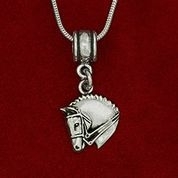 Can also come on plain snake chain…just mention in the comment section on checkout. Tag measures 1-1/8″ long by 5/8″ wide.